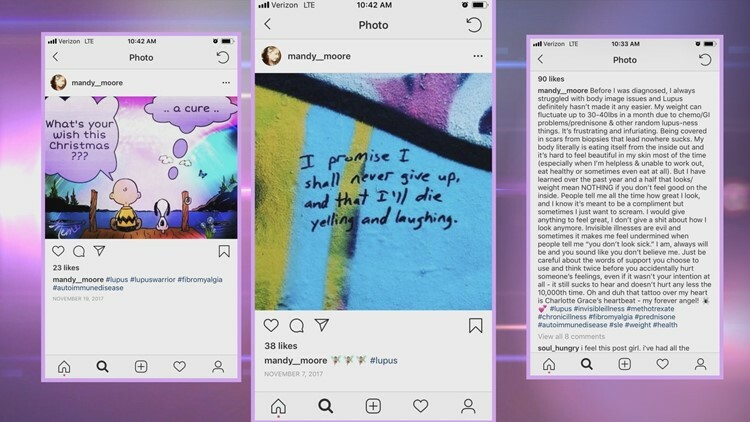 Amanda Moore saw plenty of signs indicating a medical condition, only they didn't seem to point to a destination. GOLDEN VALLEY, Minn. — When a Minnesota flight attendant discovered her health was "up in the air," finding a diagnosis became a journey in itself. Amanda Moore saw plenty of signs, only they didn't point to a destination. 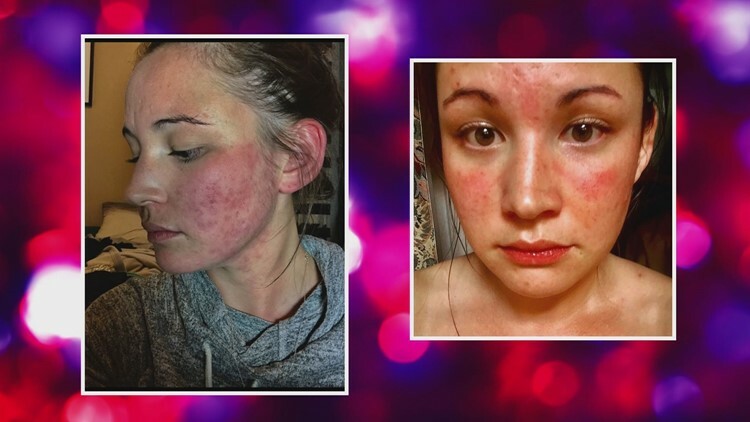 She said her first signs appeared on her skin in the form of rashes. Then came some seemingly unrelated symptoms. "I had worked a flight and I couldn't open any of the Coke cans," Moore said. "I was spilling drinks on people." The symptoms were all over the map. "I didn't think my hair falling out is related to my wrist hurting." Moore said. It would take around half a year before doctors would land on a diagnosis.
" [A doctor] did biopsies on a couple spots and it didn't come back with anything," Moore said. "I got the 'butterfly rash' while I was getting my stitches out." Finally. The butterfly rash was a tell-tale sign. "I had to go home and Google it," Moore said. "I didn't even know how to spell it." Lupus is an auto-immune disease that doesn't have a cure. According to the Lupus Foundation of America, the disease is not related to cancer. However, some treatments include drugs that are also used in chemotherapy. "Right now, I'm doing chemotherapy injections once a week." Moore said. "It probably took me a good year to grasp the reality that I'm going to be sick for the rest of my life." Moore hasn't worked a flight since the one with the soda cans. She's been on disability since then. "I'm going to try to go back to work but it might not be possible ... Some days, I wake up and I'm fine," Moore said. "Other days, I'll wake up and it can move from any part of my body and do whatever it wants." In the meantime, she's checked in to a new job. Moore now knows which disease is affecting her and around five million more people in the world. 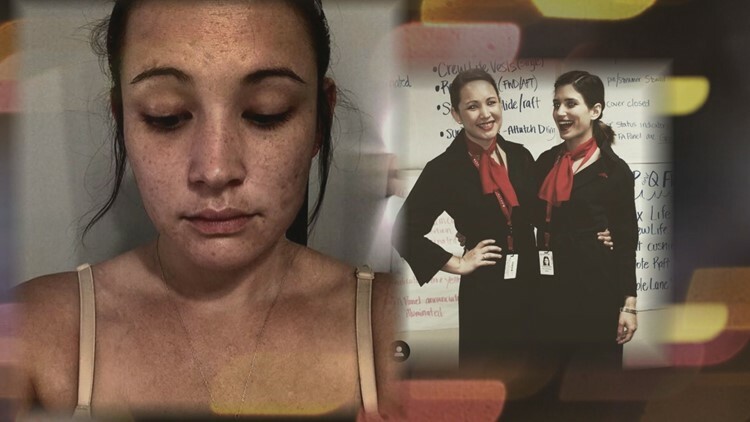 She didn't have anyone to look toward when she was trying to figure out what was wrong with her, so she chooses to help others with Lupus. "I just try, whenever I can, to put stuff out there like on social media. Stuff for girls going through something like this," Moore said. "Because I didn't have it when I was trying to figure out what was wrong with me. I thought I was going crazy." Last year, Moore flew to Manhattan for a Lupus awareness walk and raised $1,300. She hopes that money will lead to a cure.